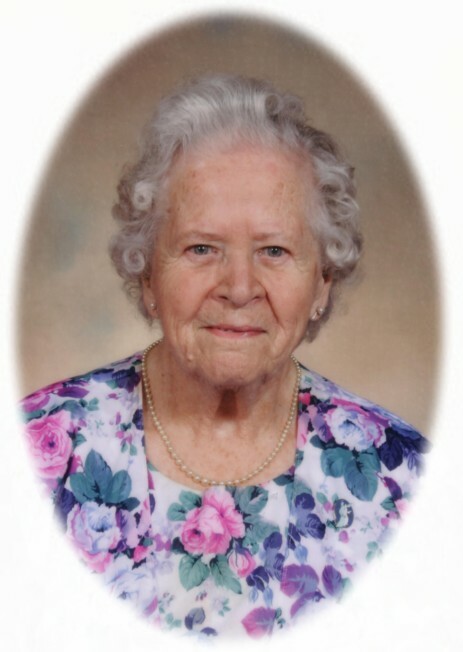 Passed away peacefully at the Ross Memorial Hospital, Lindsay on Friday, January 4th, 2013 at the age of 104. Beloved wife of the late Jack Warner (1967). Loving mother of David (Patricia) of Toronto, Ontario, Paul (Betty) of Whitehorse, Yukon and Marilyn (Roger) of Lindsay, Ontario. Grandmother of Sherri (Kevin Smith), Barbara (Julian Egelstaff), Kim, Michael, Jennifer (Marc Roy), Rhonda (Ron Ross), Robert, Jon, Scott, Kim (Mike Corrado) and Carmela. Great Grandmother of Sebastian, Clara, Jillian, Damian, Joshua, Mitchell, Jasmine, Meghan, Courtney, Kaitlyn, Taylor, Jocelyn, Samantha, Melissa and Marc. The family will receive friends at Parker Funeral Home, 19 Moose Road, Lindsay on Friday, January 11th from 2:00 - 4:00 pm and from 7:00 - 9:00 pm and again on Saturday, January 12th at Knox Presbyterian Church, 6 Joseph Street, Bobcaygeon (across from Home Hardware) from 10:30 am until time of funeral service at 11:30 am. Reception to follow at the church. Interment at Dunsford Cemetery. In lieu of flowers in memoriam donations to the account of Jon Thurston c/o Walk It Off Recovery or Knox Presbyterian Church, Bobcaygeon would be appreciated by the family and can be made through Parker Funeral Home and Cremation Centre, 19 Moose Road, Lindsay, Ontario K9V 0A2. Online condolences may be made at www.parkerfuneralhome.ca.